Today I’m making the apple crisp, which I’ll freeze uncooked. This can easily be taken from the freezer to a preheated oven and baked for an extra 30 minutes (1 1/2 hours total). The remaining apples (I bought three bags of apples, Granny Smith, Rome and MacIntosh) are for applesauce. I used a large stockpot (think lobster pot size), which I filled three-quarter full of chunked apples. I didn’t peel or core the apples, I used a food mill to puree them, and then added a good sprinkle of cinnamon. I got nine pint jars and a bowl for dinner! 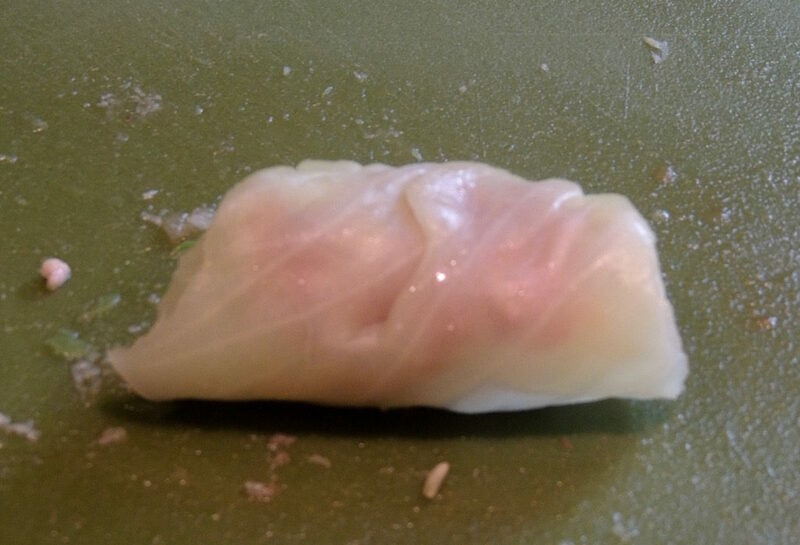 I’m also making the Sweet and Sour Stuffed Cabbage today. These, too will be frozen uncooked and go directly from the freezer to the oven and cook for about two hours. Cut the blanched cabbage leaves into quarters (triangle shaped). 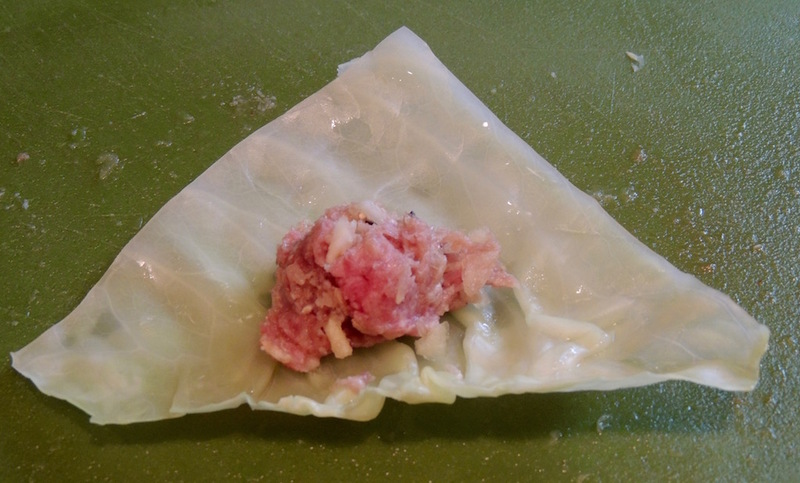 Place about two teaspoons of the meat mixture at the top, bring the outer edges over and roll up. Throughout the rest of the week, I’ll make Challah and Potato Latkes. I need to order some rentals: linens, chairs and all-purpose glasses. There are a few items I’ll get readymade from Stew Leonards: fruit bowl, pigs in a blanket and spanakopita. The chocolate-covered strawberries I’ll order from Edible Arrangements. With these details out of the way, I can focus on decorating the house and wrapping presents next week. My To Do List is done. Anything already accomplished I highlight in yellow. I’d be lost with the list – it keeps me on track and from becoming overwhelmed. I’ll also print out the menu and pencil in cooking times on Christmas Eve so I know how to coordinate the final dishes.